Sleep Deprived?........Stressed out?.........Lacking in energy and a zest for life? Need to loose weight and detox?..........Suffer from Digestive Issues?.......Need to Boost your Immune System?........Looking to spice up your relationship? In a world full of stress and busy schedules we tend to neglect our health and wellbeing. Tea Amo was created to naturally enhance your health and vitality and provide some tranquillity and simplicity in treating a variety of common health issues. 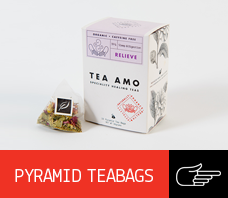 Tea Amo prides itself in using Organic ingredients packaged in convenient to use biodegradable pyramid tea bags or as loose leaf to ensure that our tea range is beneficial to your health and the environment. Choosing to use Tea Amo means you are not only helping to naturally heal yourself but are contributing to the development of a sustainable society and to a cleaner, greener future for your children, and your children's children. Tea Amos’ range of herbal organic biodegradable pyramid teabags offers those at home or work a convenient way to make a good cup of naturally healing speciality tea without the need to use a teapot of tea infuser. 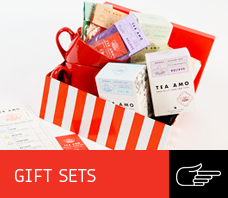 Tea Amo caters for the fast growing Australian tea market with many tea-drinkers having acquired a taste for higher quality organic teas found in pyramid teabags. CALM, UNWIND, REVIVE, RELIEVE, REMEDY, CLEANSE & INTIMACY offers a natural way to enhance your health and vitality utilising organic ingredients in convenient to use bio-degradable pyramid tea bags or as loose leaf tea. 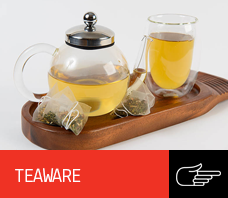 Tea Amo also offers a refreshing and unique tea drinking experience with our Tea Amo tea ware. 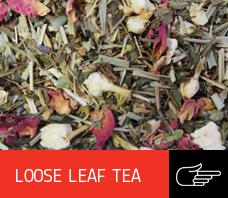 For natural healing, all you have to do is…steep, pour and enjoy. TEA AMO as seen on CHANNEL 10. As the Founder, Creator and Master Blender of Tea Amo I had a live guest appearance on Channel 10, Studio 10 talking about about my experience of starting and running a business. Check out My Blog provides for more details .